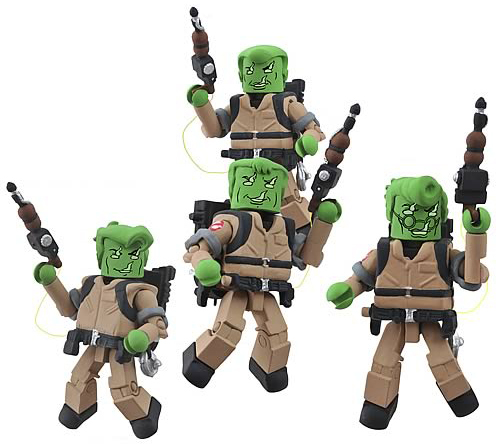 Our fourth reveal in the "Win What You Want" giveaway is The Real Ghostbusters - Spectral Ghostbusters Minimates Boxed Set. In The RGB episode "Citizen Ghost", the guys ditch their duds after their battle with Gozer. 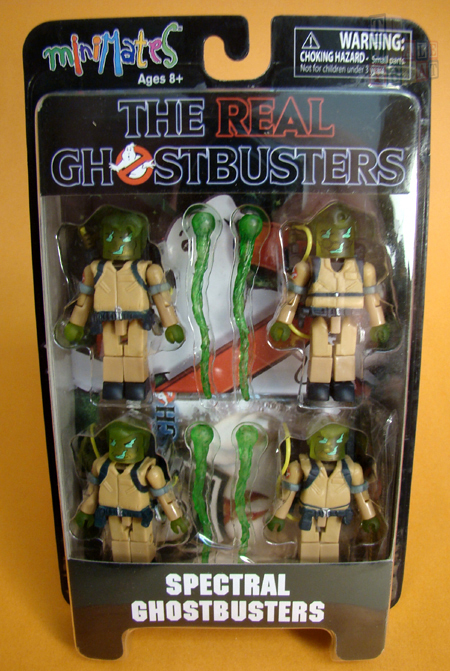 A leak in the containment unit reacts with the Stay Puft remnants on their suits to form four Spectral Ghostbusters - apparitions who think they are the real Ghostbusters. The phrase of the day for Thursday, March 8 is "Human sacrifice, dogs and cats living together... mass hysteria!" Post that phrase exactly as it appears here as a comment to this Facebook post and your entry is complete for today. Here is a sneak peak at tomorrow's "Win What You Want" reveal. Can you guess who it is? Keep checking back on Facebook for tomorrow's post to find out and good luck! If you have any questions, please check the "Win What You Want" Giveaway FAQ or drop us an e-mail.